The majority continue to sleepwalk, yet the evidence of abrupt climate change leading to mass earth extinction is stacking up day-by-day. I’ve been speaking about this since my soul-exchange incarnation that initiated during a car crash back in 2002. I came here specifically to share a higher dimensional perspective. Till now, only a relative few have been prepared to take note, I trust in time, plenty more will. With the benefit of expanded consciousness and those in the ether gathering to support The Shift, I was fully aware of future-landing-now way back then. 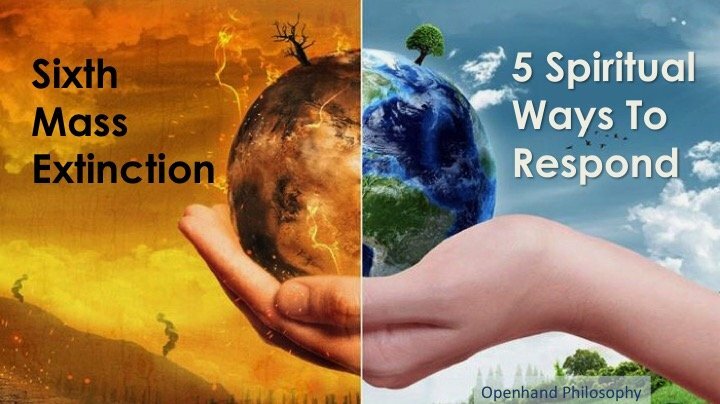 Fortunately, the dramatic 3D effects of The Shift are now beginning to register in more mainstream scientific media, but nowhere near sufficient to cater for effective mass community response. Earthquake and volcanic activity, caused by abrupt climate change and the accelerating pole shift, are both escalating around the globe. We are close to the eye-opening phenomenon of no summer sea ice in the North Pole, which would be a first for Gaia, and according to a recent NASA funded study, the Antarctic is now losing six times as much ice every year as it was in the 1980s. We are already at high temperatures never previously seen by Homo Sapiens on Earth. I’ve been sharing my perspective on this since 2002. I well understand that it can be a phenomenal thing to take on board - something people might want to avoid, and often do. The biggest problem being that society continues in its amnesia. Even if you are already awake, there’s practically 7 billion reasons, and very persistent society, reflecting back that it’s business as usual. Let’s be clear, apart from making people assuage a degree of guilt, banning plastic bags is like sticking plasters on the Titanic! If you’re reading this, I urge you to take some quality time out and reflect deeply on what’s unfolding, rather than sleep-walking into the inevitable. If you’re prepared to embrace any fear you might have and work through it, then you can normalise in what’s unfolding. It means the consciousness of your soul can integrate through it. 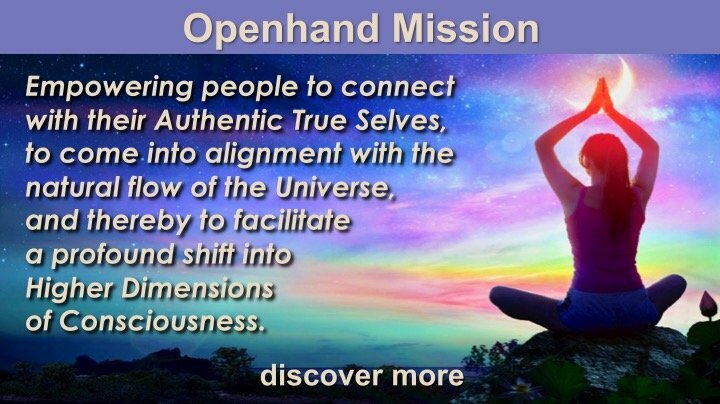 You’ll find yourself connected to the mainstream flow of The Shift, which will then place you in the right location at the right time in the right frame of mind to bridge whatever may come. 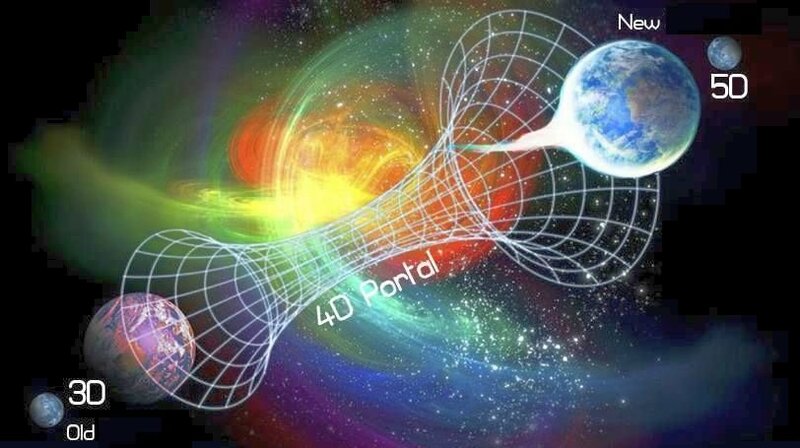 Consider this viewpoint on How the Earth will Shift from 3D into 5D/6D/7D. 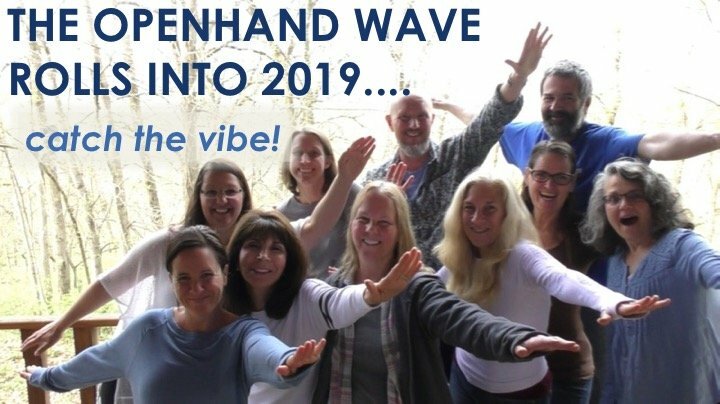 I was fascinated to hear from Openhand Facilitator, Jean “Blue Hopi” Michel, who shared his experiences of being caught up in the Indonesian Tsunami of 2004. 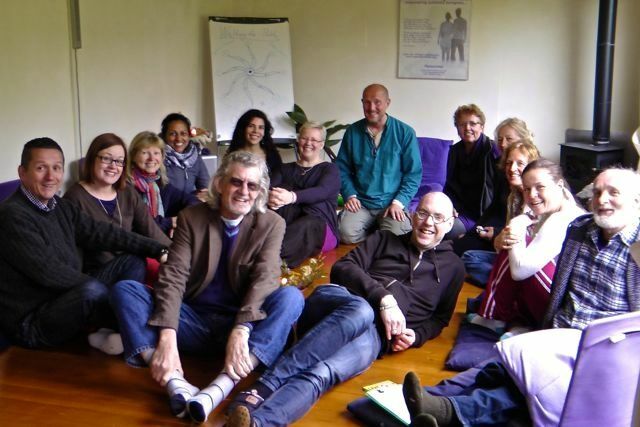 Due to the level of surrender and connection to soul, he shifted immediately into the Spirit Light Body, which guided him not just to safety, but also to support those around him. People often speak of this when faced with life threatening crisis. We live beyond the body! It’s time for many more people to remember this and start to live the higher flow right now. I totally understand that if you have kids for example, if you struggle with the enormity of it and if you’re afraid for your own mortality you wouldn’t want to consider what is now inevitably unfolding. Yet as the Dalia Lama rightly advocates, if you contemplate your passing on daily, then it liberates you from fear of death. And fear represents the gateways through which we need to expand on the evolutionary journey. In this way, fear can be your ally if you’re prepared to work with it. Many children incarnating these days for example, are choosing to come here at this time knowingly - their soul configurations perfectly fitting for just such times. When we look deeply into the crucible of our fears, we explode the myth that holds us in enslaved limitation - we are cosmic beings! 5) Explore the resources, structures and communities preparing for dramatic earth changes, such as the Transition Towns Movement, that has local communities springing up around the globe (background info on the Transition Towns Movement). My article has necessarily been brief. However, each of the main responses I’ve listed can go very deep in their inquiry, with much to unfold. I offer my viewpoints as a perspective only, for you to explore in a way that feels fitting for you. I understand that most people reading will likely have jobs within the current system, with family, friends and colleagues that are as yet unready to take the viewpoint seriously. Or else there’ll likely be plenty of projection, which usually comes from underlying subconscious fear. I am certainly NOT meaning to propagate fear - fear only exists where there is lack of self-realisation. A self-realised being understands the eternally changing nature of life and their inviolable connection to the whole. Where fears arise, these represent the gateways through which to work. 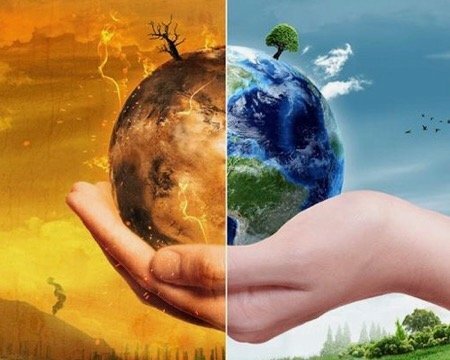 The climate change phenomenon is fast becoming the critical issue of our time. It must be rapidly followed by what we can effectively do about it. What response is the Universe inviting? 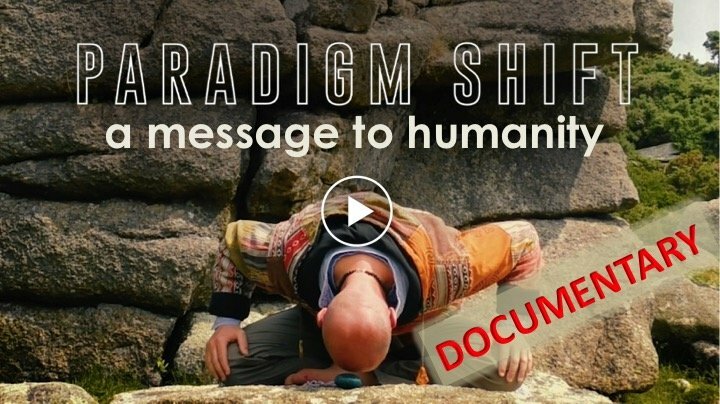 If you resonate with what I've shared, I encourage you to watch Openhand’s “Message to Humanity” about The Shift. Then to share your feelings, thoughts and viewpoints below - it is only ever the truth that can truly set us free. Your concerns and responses to the 6th mass moving on? I felt to post this today having reflected on a barrage of new information regarding the acceleration of the breakdown of the 3D ecosystems - the rapid dying off of insect life for example. In the second half of the video they explore the Geoengineering response with Artificial Intelligence mapping the possibilities - for me that's what Gaia is supposed to do! So with that in mind, I shared the 5 main spiritual responses I believe are essential to engage in right now. What do you think? What do you feel? What are your fears and concerns? 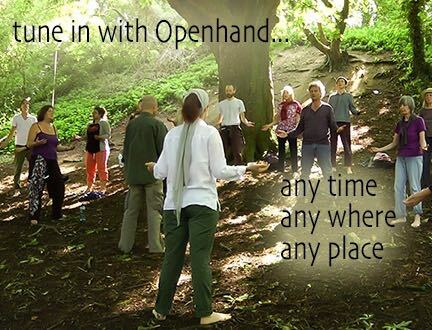 Do share below, it's essential we all normalise in the authentic landscape we're unfolding into. I feel a lot of fear and contraction in response to the planetary changes . Here is Zach Bush elucidating beautifully what a more conscious response would be . Thought I'd share . Yes Megha! I too listened to this last week and it brought me to tears as well and excited me to hear this from someone that has the worldly credentials to potentially bend the ears of those more encapsulated in the system. I found it so inspiring and beautiful! 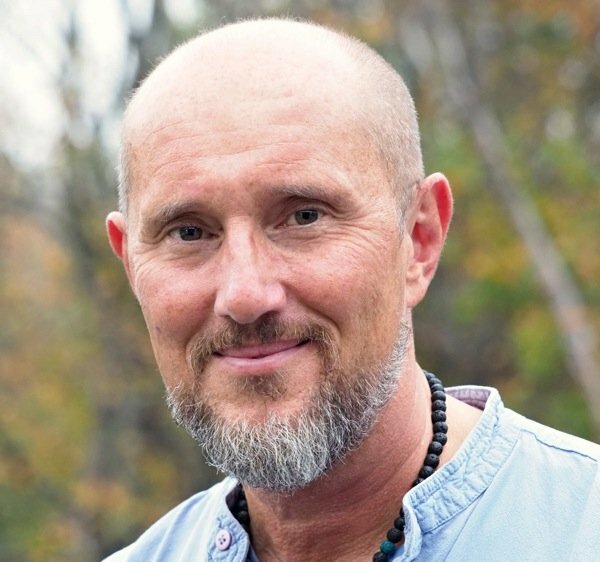 <3 I love his talks on glyphosate and its wide reaching impacts and feel so inspired by his new project to help farmers get out from under the GMO machine. Brilliant and compassionate soul! Just want to add my reflection to this. I don't fear this, I don't fear extinction of anything. I take this with me, all of this that I have known in my life. Even what I feel turned me upside down and inside out, also turned me right side up and deeper within. I do look at it all with some seriously deep sorrow though and I do wonder about the planet itself. I fear what comes out of me the most when I think about this earth being desolated. Recently in Oregon along the coast a ton of bunnies just showed up in the coastal town of Cannon Beach. They that lived there did not know what to make of it. Then within 6 months or so a very large amount of this rabbit population was poisoned. Murdered. I stood after reading of this happening and I tell you, I almost screamed like I have never heard my internal self scream before. I never scream outwardly, its always from the inside. But I just said breathe, just breathe woman. Then there was that voice that say's to me. How do you feel about this. So as I stood there breathing and shaking from head to toe and I said.. Welp, (insert mass amounts of expletives!!) That is on them.... I know what it is that I do, I pray then they know what they do. Then I remembered this is just a moment in time, this life I'm living, my human experience and although I feel and care deeply about this earth, its inhabitants and this universe were in. I'm still pretty sure it will survive. Humans might not as it is now, all therein might vanish in a flash even. Yet it seems nothing ever really disappears if there is a memory of it. I like this video here about the shark whisperer. I admire this woman so much knowing what she wanted and went after it and all that therein. Makes me smile! Reminds me of a couple of squirrels a few years ago that I hand fed. Was a first ever for me and it felt just so right. Now those two squirrels have turned into seven this year. Six reds and one cutely but skittish grey. There did not seem to be so many birds around my area in previous years, but now it seems to have turned into a sanctuary of sorts and it amazes me how truly unique each one is. Turning towards nature is the best thing ever and I am so thankful to be alive today to be able to do just that. Its not easy, but I feel that every day I wake up is a gift and I just find that in every way I interact with everything around me leaves me wanting to just do my absolute best. It is not always easy and yet it is all I can try to do. Because when I'm no longer walking, talking and breathing upon this earth I look forward to knowing so much more. I worry though that I look forwards to that maybe just a bit to much. I think to myself how I would like to leave no trace of me behind, but yet I find myself leaving traces of me behind LOL! It is odd being ok with it, yet not quite. Almost like balancing on a see saw. I wish you all happiness and joy and I tell you what I tell myself. Just keep on goin, you can do this! You got this because this all, this universe has got you as well. Thanks for sharing Wyndè - nice to "see" you. Yes the mistreatment of wildlife by people in society is simply shocking at times. And it's this which is a strong catalyst for the break down of the Old Paradigm. We need have no fears though for Mother Earth and the creatures, because the consciousness will reconstitute in the Higher Paradigm. The real concern is for the huge number of lost souls that are quite posioned by the density. That requires a lot of commitment and perseverence to help them break free. For those who are concerned about those lost in the matrix, if you didn't already know, there is a veritable army of angels gathered in the ether around us suporting the shift. I've seen a net stretched around the earth gathering up souls as they pass on through the shift. "The real concern is for the huge number of lost souls that are quite posioned by the density. That requires a lot of commitment and perseverence to help them break free." This struck me deeply Open...and inspires a sense of purpose. <3 Absolutely love that song. Thank you! Its good to see y'all too. I am amazed and thank you for saying something about the net around this earth, even the army of benevolence. I have seen this too! Ready at any given moment to lead a charge or drop down into even the very pit of darkness for anyone or anything lost. Nothing is lost in the sands of time. I believe sometimes we help each other even to just lift up souls out of their darkest despair. I would even help the poisoners if I felt called to do so, I am thankful for the moment that I am not called to do so though. Right now I need to just rest. The middle of the night wake up call from spirit lately is just sometimes too much. It is not easy for me to be kind at midnight or 3am.. Perhaps its the new normal for me and I could be better at that. I really love that song too, this artist is an all time favorite of mine and thank you Jen. Your sense of purpose brings me a smile. I feel this purpose too sometimes. I sing a lot when it feels to me that someone or something needs to be lifted. I even gain lift from it as well.